Sir Cecil Spring-Rice, who wrote the words of 'I vow to thee, my country'. He was U.K. Ambassador to the United States, 1912-8, and died in Canada shortly after being recalled. The recent funeral of Baroness Thatcher, a state occasion in all but name, conducted in the presence of the Queen, is the latest public expression of such vestigial confessionalism. As part of the service, the hymn (or song, as you will) ‘I vow to thee my country’ was sung, except for the middle verse. There is an almost overwhelming pressure on any politician with sympathy for the Christian religion or who espouses ‘Christian values’ to think of the kingdom of God as identical with the kingdoms served by politics. And many who are not politicians, including of course many bishops of the Church of England, appear to favour the same view. There were efforts made in the press to show that this was Baroness Thatcher's view also. However, 'I vow to thee my country', chosen by Lady Thatcher, is a fairly clear avowal of the two kingdoms view. Its sentiments run along with those of Charles Wesley's 'Love divine', and with John Bunyan's celebration of pilgrimage, 'Who would true valour see', also chosen by the Lady. There is a kingdom of this world, to the service of which Mrs Thatcher gave most of her life. And there is a kingdom of God, a kingdom that is not of this world, whose king is Jesus, which transcends earthly politics, and which is being formed gradually, quietly, gently. This is the 'new creation' of Wesley's hymn - pure, spotless, and heavenly - which one day will be finished by the church's almighty creator and redeemer. While the first two verses of 'I vow to thee my country' are strongly patriotic, almost Jingoistic, in tone, the last verse, with its reference to ‘another country', and with its echoes of the 'better country' of Hebrews 11.16, in contrast to the 'all earthly things' of the opening line of the hymn, strikes a different note. Especially the last line, a paraphrase of part of Proverbs 3, is a clear affirmation of that other kingdom, a kingdom which has foundations, whose maker and builder is God. Whatever the chaotic condition of church-state relations in England at present, it is good to have this affirmation of the two kingdoms, the historic view both of the Church of England and of English Dissent. The period of English history in which Thomas Ridgley lived is generally regarded as inglorious from a religious and theological point of view. The Puritan aspirations were punctured by the Act of Uniformity, and the political and theological reaction to Puritanism accelerated its decline. 1662-1689 was a period of severe discrimination and persecution of those who dissented fron the Anglican re-establishment. After toleration came in as part of the 1688 settlement, a period of theological decline was evident. Former Puritan congregations became unitarian. Baxter's Kidderminster congregation is unitarian still. Ridgley was one who upheld Puritan Orthodoxy, and I suppose that a closer examination of dissenting religious life would find numerous men who upheld the faith of their fathers. Despite the headlines, the beginning of the 18th century it was not all latitudinarianism or hyper-Calvinism. Thomas Ridgley was an Independent divine. On the death of Isaac Chauncy he was elected (in 1712) divinity tutor to the Fund Academy in Tenter Alley, Moorfields, established by the London Congregational Fund board in 1696. He wrote A Body of Divinity Wherein the Doctrines of the Christian Religion Are Explained and Defended, Being the Substance of Several Lectures on the Assembly’s Larger Catechism. This post examines aspects of Ridgeley's (1687-1734) trinitarianism. …the only-begotten Son of God, ‘Begotten of his Father before all worlds, God of God, Light of Light, Very God of Very God, Begotten, not made, Being of one substance with the Father…The Holy Ghost….proceedeth from the Father and the Son…. 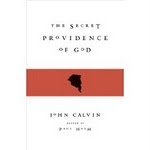 The Reformed, starting with Calvin, were concerned about the way in which phrases such as 'God of God’ had a tendency to diminish the fully divine character of the Son. Calvin settled for the view that the Son was begotten of the Father as regards his person, not his divine being. He went a stage further than Calvin in gently insisting on the underived deity of the person of the Son and the Spirit. Ridgeley was concerned about what the expression of the Son's eternal begottenness could possibly mean, and likewise the proceeding of the Spirit, sometimes referred to as ‘spiration’. He has this to say about the Nicene doctrine of the eternal generation of the Son and the procession of the Spirit. Ridgley was a firm and clear Trinitarian, but absent from his understanding of the doctrine of the Trinity was any suggestion of causal or ontological dependence of the deity of the Son or Spirit, on the person of the Father (for are they not three persons of the one God?) or of their persons (‘Personalities’) on the person of the Father (or, in the case of the Spirit) on those of the Father and the Son, for were not each ‘as much independent, and underived, as the divine essence’? He thought that the Nicene assertion of the eternal begottenenss of the Son called this into question. As with all friends of orthodoxy who deviate a little from the line of their day, Ridgeley runs risks in writing like this. The orthodox are all too likely to damn a writer like Ridgeley with charges of ‘rationalism’, ‘reductionism’, free-thinking, and the like. But his gracious, careful, respectful, cautious style are to his credit, as well as his preparedness to think for himself. It is sometimes said that the great strength of the Nicene doctrine of the Trinity helps establish and preserve the deity of the Son. But Ridgley did not regard the doctrine of the Trinity as in need of such help, even if it was available. The deity of Christ is taught in Scripture, and that was sufficient for him. And despite his reservations he regards the Trinity as of the ‘highest importance’ . Pearson's book there is much more of this sort of thing. Pearson is not an authority, but his exposition has been very influential. For him at least Nicaea does not guard against ontological subordination. But the Father’s coeternity with the Son can be secured on the grounds of their equal eternal divinity as taught in Scripture, without the issue of generation needing to arise. Economic relations between the Trinitarian persons, as in the Covenant of Redemption, are not necessary to establish the eternal divine relations, but economic relations are sufficient to discriminate these relations. 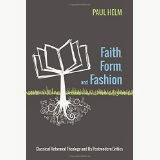 They identify the parties as three distinct, divine persons. The Father sends the Son who becomes incarnate as the Mediator, and the Spirit undertakes the task of applying what the Son has achieved to those chosen in Christ before the world was. But these relations so displayed are not are eternal, ontological distinctions of the Trinity in se. What these economic relations show and even entail, are the operations ad extra of a tri-personal God. From the economic language regarding Sonship we can infer that there is an eternal Logos who in his economic role is also human through the overshadowing and power of the Holy Spirit. In a new post I hope to develop some of Ridgley's worries further.